Have you finally made the decision to start exercising regularly? Perhaps this has been even a New Year’s resolution for you! Well, if you are here, reading this article, chances are that you have just begun your exercising journey and you are interested to find out more about the exercises that perhaps your trainer at the gym has recommended. It is a good idea that you want to get informed more about the exercises rather than just automatically performing them at the gym. 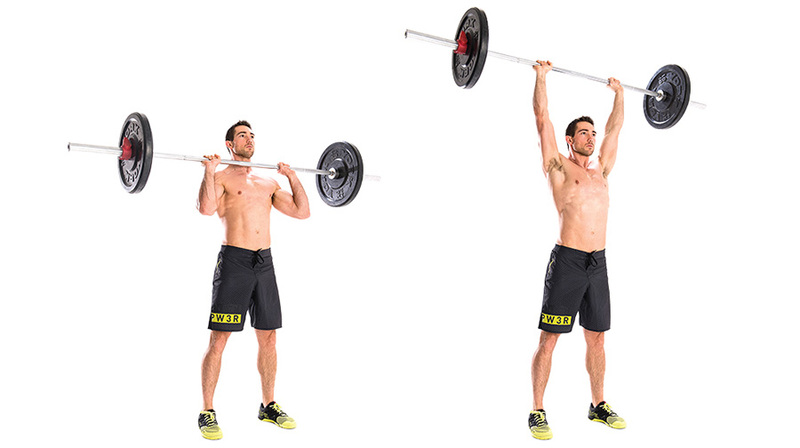 Today we are going to introduce you to this amazing exercise known as overhead press. Have you heard about it? This is a rather famous exercise that most people, who are interested in developing their strength in their full body, tend to regularly include in their workout. What we are going to talk about today is how to properly perform this exercise, what are the points of even including the overhead press in your workout routine and of course we want to share 8 amazing beneficial effects that you are going to earn by practicing the overhead press regularly! Are you interested to find out more? We hope that you answer is yes, now follow us through the rest of the article, would you? Before we even continue to the beneficial effects of the overhead press, let’s take a minute or two to define it. First, remember that the overhead press is defined as a full body exercise which means that by performing this exercise, not only do you exercise your upper or lower body, but you are improving your whole body! You might wonder how is this possible when it is only your upper body - your arms and shoulders that are lifting the weight over your head. Well, while that is true, your lower body - your legs, abdominal muscles and lower back are active as well in order to balance you as long as you are performing the overhead exercise. And that is what makes the overhead press the best exercise for strong, toned muscle build-up focusing on getting your shoulders bigger and your arms stronger but at the same time improving the balance of your body and your posture. In general, there are a lot of muscles that are being included in the process of performing the overhead press including pectoralis major, latissimus dorsi, deltoid muscle, serratus anterior, pectoralis major and minor, coracobrachialis, rhomboid muscle, supraspinatus muscle, subscapularis muscle, triceps and biceps muscles, the forearms flexors and extensors, the abdominal muscles and so many more! As we said earlier - the overhead press is a full body exercise! The overhead press can be performed either at home or at the gym, however, if you choose to perform it at home know that you will need the special equipment that is required to do this exercise. In addition, there are high risks related to this exercise if it is not done properly. So perhaps it is for the best if you do the overhead press at the gym where there is a professional trainer to guide you through the process and alert you to any possible mistakes and risks that you are exposing yourself to. And who knows, perhaps you will become so prone to exercising that later in life, when you are experienced enough, you will build your own little gym at home and you will be able to perform the overhead press alone without supervision. In addition, the overhead press is a great exercise that will promote testosterone production so it is a suitable exercise for all of you who are trying to recover from your experience with low testosterone. As you may know, exercising, in general, is one of the best ways to get your body to produce more testosterone, but resistance training, which is the case with the overhead press, has been shown to be especially beneficial for treating the problem with low testosterone levels. Now let’s discuss all of the beneficial effects of the overhead press, shall we? Build upper body strength - Although we have mentioned the overhead press to be a full body exercises, that includes large muscle groups in the process, it is still an exercise that focuses on your upper body the most - your shoulders and your arms since these are the body parts that lift the weight in the process. So if you are interested in improving your upper body strength and muscle mass then this is the perfect exercise for you! And as we mentioned earlier, since it is a great deal a resistance exercise it is one of the best exercises that will promote testosterone production and help you fight low testosterone. It will not take too long before you start noticing as your upper body muscles are getting bigger and bigger and soon you are able to put more weight on them. However, make sure that you progressively increase the amount of weight that you put on your upper body. The last thing that you would want is your tendons tearing up because of the too much weight. Increase your bench press - A bench press is an important exercise for anyone who wants to increase the muscle mass and strength in their shoulders and triceps. But perhaps you were unable to perform a bench press before, but now that you have had your time practicing the overhead press, you will efficiently work your way up to efficiently performing your bench press. Soon you will be able to increase the weight that you are putting on the bench press. Protect your shoulders - The last thing that you would want to do during an exercise is injuring your shoulders. Unlike the ordinary bench press, the overhead press evenly distributes the strength all over your upper, lower and middle body, at the same time protecting your shoulders from getting hurt. In addition, you will work your way up to stronger, healthier shoulders that will be able to perform their role in the body more efficiently. Get a full body workout - Since we are talking about a full body exercise here, that means that the overhead press has more beneficial effects for the whole body that could not be compared with the usual, seated bench press. During an overhead press, huge muscle groups on your upper, middle and lower body are activating, increasing their strength and the whole balance of the body. There is hardly another exercise that can do all of this and be as efficient as the overhead press is. Increase your lockout strength - Usually, increasing the lockout strength is what most people go after in their workout experience. An increased lockout strength is what will able you to carry out strenuous exercises as well as the ability to withstand heavy, repetitive, intense workout seasons without feeling tired or as if you have overdone your exercises. And that is one of the great beneficial effects that you are going to get by regularly performing your overhead press exercises! Improve your jumping abilities - By improving your balance, strengthening your joints and muscles you will effectively work your way up to improving your jumping abilities. This, on its own, will help you to engage in an efficient cardio workout which will burn off those annoying calories and get you to lose the unwanted body weight. Reduce arm fat - Who does like to have fat jiggling around on their arms? This is the most common problem that women tend to address. So it was not a surprise at all, knowing all the beneficial effects that we have mentioned until now, to find out that the overhead press can deal with this problem as well! Since it is your shoulders and upper arms that are mostly activated during the overhead press, it is expected that the regular performance of the overhead press will eventually decrease the arm fat by increasing the muscle mass in this area. Strengthen the deltoid muscles - Working your way up to strong, toned arms is one thing but strengthening and toning your deltoid muscles is another. Usually, it takes a combination of a few different exercises to get these both of your wishes to come true. But not anymore! Now that you are well aware of the beneficial effects of the overhead press you are ready to get great looking deltoid muscles and upper body muscles as well! Exercising can be fun and beneficial for everyone - you just need to know what you want to get out of it! For example, if you are interested in increasing your upper, lower and middle body strength, then we warmly recommend you to proceed towards including the overhead press in your workout! In today’s article, we used the opportunity to explain this awesome looking exercise to you and all the beneficial effects that come with the regular performing of the overhead press. Although you might want to join a gym and use the chance to practice this exercise under the keen eye of a professional just to make sure that there are no risks of any kind near you, it will still be worth it. Now that you are well aware of the 8 amazing beneficial effects of the overhead press, we hope that you will include them in your life and benefit greatly as so many others before you have! He has been a Health & Fitness Advisor for Consumer Health Digest. 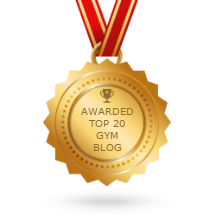 He loves to write about General Health & Fitness topics. Will also believes in providing knowledgeable information to readers and constantly motivates them to achieve their goals. He is also passionate about traveling, arts and discovers and writes for people. Connect through: Facebook, Twitter, & Google+.